Woodcut is a type of woodblock printing in which a board, cut out vertically along the grain of the wood, is used as the printing block. In Japan, there has long been a culture of woodcut prints such as ukiyo-e, and woodblock printing using woodcut boards are still common today. Compared to boards for wood engraving made from wood sliced into rings, woodcut boards are softer and easier to carve. Broad-leaved trees such as cherry blossom, Japanese white-barked magnolia and katsura are suited for making woodcut printing blocks because they have a constant hardness and texture. Natural wooden boards made from mountain cherry blossom were used for ukiyo-e prints. 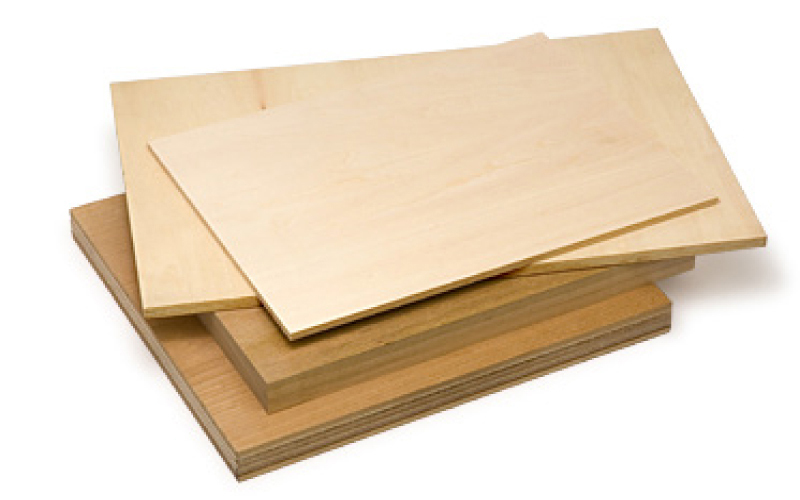 Today, because prints are larger, natural wooden boards more expensive and materials hard to come by, Shina plywood boards made from thin sheets of Japanese linden veneer are generally used. Two types of paint are used for woodcuts: water-based and oil-based. It is usually more common to use water-based paint, mainly sumi ink, transparent watercolor and opaque watercolor. Self-made paint can also be prepared using pigments, glue and gum arabic. Woodcuts using watercolor are normally printed on sized (treated) washi paper which has been moistened. There are various manual printing techniques such as bokashizuri, jitsubushi and gomazuri, many of which were developed during the ukiyo-e period. When using oil-based ink with woodcuts, you can use lithography ink. To produce woodcuts, you start by copying the design on the woodblock and carving this out. 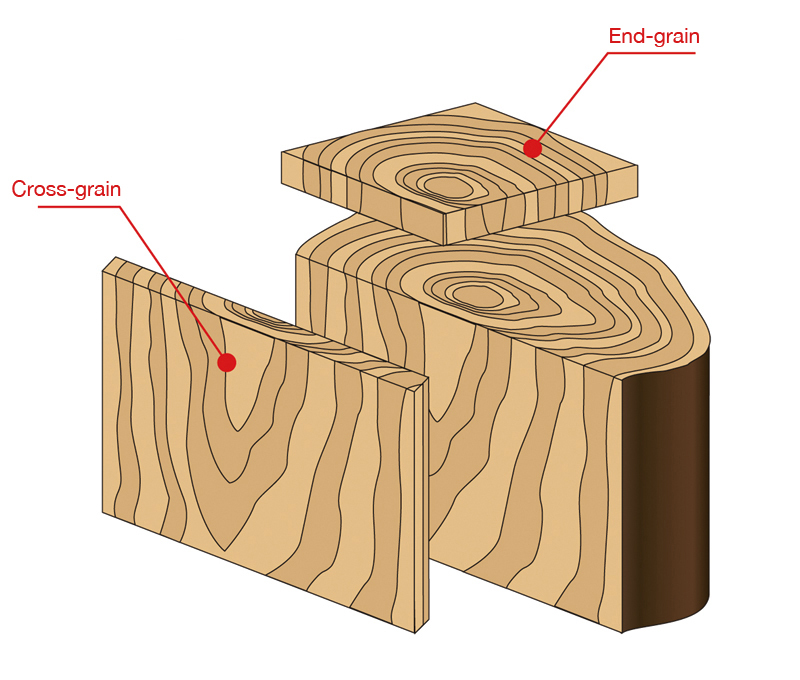 Make incisions along the contours of the design of the block with a kiridashito (cutting knife) and use chisels and carving tools such as komasuki (round) and aisuki (flat) to remove unnecessary parts around them. You can also carve out the design directly using komasuki, etc. Once the carving is finished, the next step is the printing. When using water-based paint, the relief sections are loaded with paint mixed with water and glue and spread thoroughly with a brush. This is done with a roller when using oil-based ink. 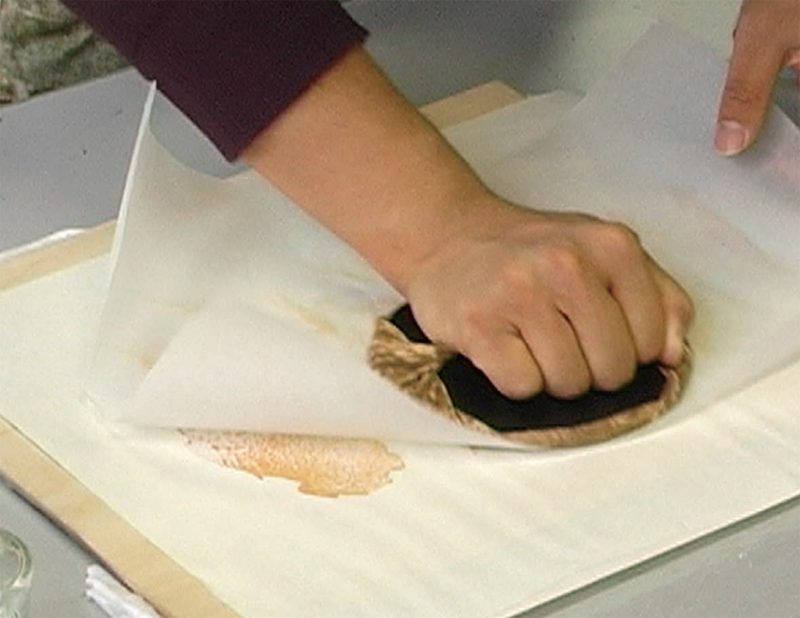 Then, the paint or ink is transferred from the printing block to the paper by using a baren to apply pressure. Sometimes, a printing press is used instead of a baren. Prints produced on a printing press using water-based paint are characterized by clear wood grain imprints. Woodcut works created in this way facilitate a variety of expressions from simple monotone works to multicolor designs using several printing blocks, as well as works featuring the beautiful wood grains.